Personality tests. Team-building exercises. Forced Fun. Desktop surveillance. Open-plan offices. Acronyms. Diminishing job security. Hot desking. Pointless perks. Hackathons. If any of the above sound familiar, welcome to the modern economy. 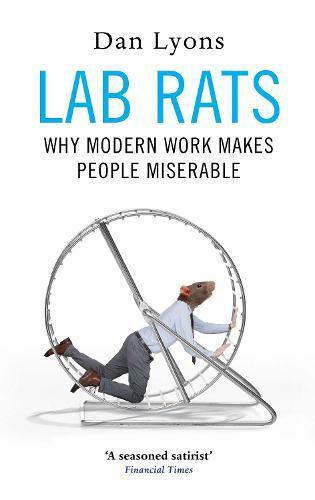 In this hilarious, but deadly serious book, bestselling author Dan Lyons looks at how the world of work has slowly morphed from one of unions and steady career progression to a dystopia made of bean bags and unpaid internships. And that’s the ‘good’ jobs… With the same wit that made Disrupted an international bestseller, Lyons shows how the hypocrisy of Silicon Valley has now been exported globally to a job near you. Even low-grade employees are now expected to view their jobs with a cult-like fervour, despite diminishing prospects of promotion. From the gig economy to the new digital oligarchs, Lyons deliciously roasts the new work climate, while asking what can be done to recoup some sanity and dignity for the expanding class of middle-class serfs.